This entry was tagged Adopted, Adoptee, Adoption Reform, Adoption Research, Propoganda. Bookmark the permalink. 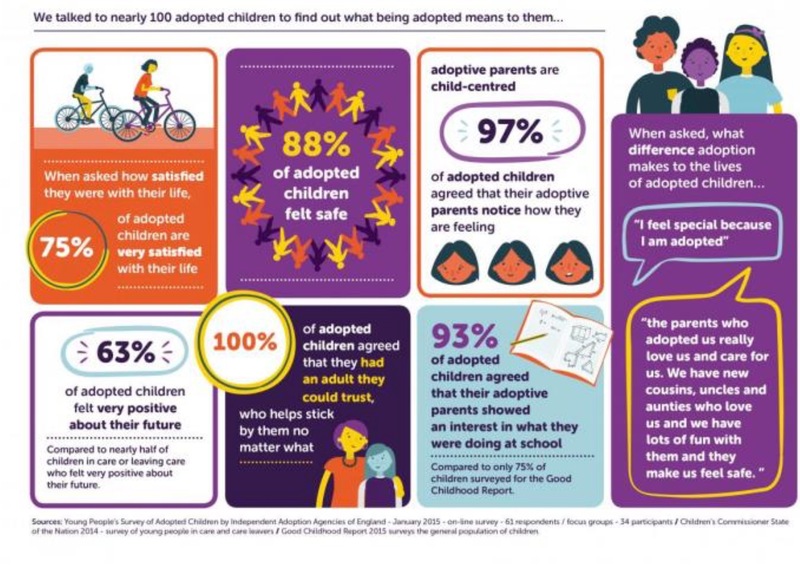 I shared these particular infographs via my Facebook page without a second thought, I did grimace at some of the apparent statistics and I did wonder how they had asked ‘adopted children’, no one asked mine?! I wonder how many of the answers given by these children were ‘people pleasers’.